I have been wanting to make one of these spinner cards for about a year now. You probably know how this goes. You go to a rubber stamp show, you see all kinds of new product and techniques, you buy like crazy because you just know you're going to rush home and put all your new toys to use. Let's see, I call it general living, I'm sure you have your own special name for IT. So, after savoring this little pack of instructions and die cut card fronts from Repeat Impressions , this challenge, On The Move! fit perfect. I ran the Chocolate Chip card through with a Fiskars texture plate-Hearts, but I don't think they show up very well, and this stamp is one of my favorite sayings of all time. Creative Inspirations Challenge 68-On The Move! Supplies: Chocolate Chip Card Blank 5 1/2" X 6", Papers: Stampin Up-Chocolate Chip, light blue-Repeat Impressions, Very Vanilla, Stamps: PrintWorks-Q004 Caring Thoughts, Ink: CTMH-Z2111 Chocolate, Z2126 Heavenly Blue, Umbrella from PrintMaster 11, Fiskars texture plate-Hearts, Die-namics mftstamps-cloud die, Cuttlebug embossing folder-Swiss Dots, ribbon-Offray, pop dots. Love your card, lots of interest there! 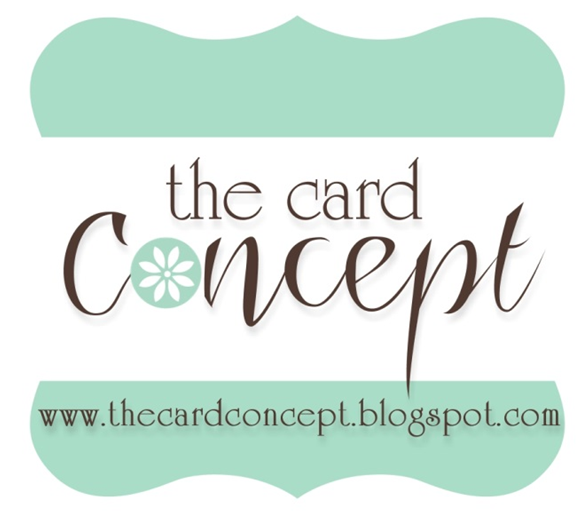 I have never made a spinner card but would love to see yours in action! Thanks for playing along in the JFF Color Challenge! Great card. Good for you for making a spinner card - I think they take a lot of patients. I love it!!! 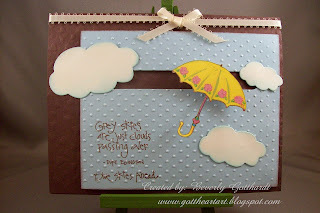 The embossed blue paper and the clouds are a great complimen to the image, very cute!! 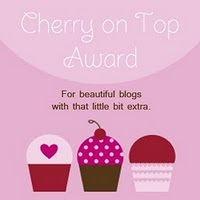 Thanks so much for sharing with us at Creative Inspirations this week! !